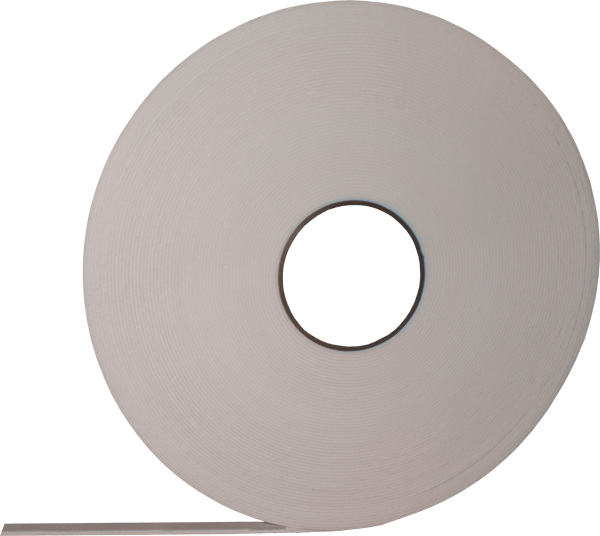 Foam carriers for tapes provide thicker and more compressible profiles than film or paper based double coated tapes. This affords improved bonding performance and conformability on highly textured surfaces as well as providing suitable void fill and cushioning when mounting non-flat substrates. 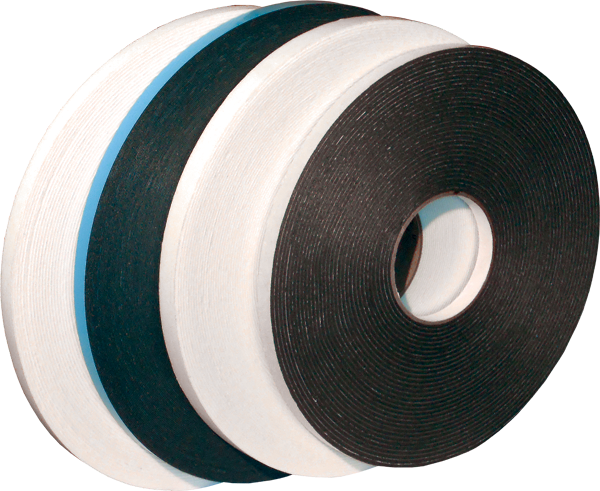 Double Coated Polyethylene (PE) Foam Tapes are the most economical option offering the best balance of performance and price – moderate internal foam strength & great adhesion. Variations on these tapes include foam thickness (1/32”, 1/16”,1/8”), adhesive type (rubber or acrylic) and color (white or black). Choice of tape is dependent upon the substrates being bonded, application conditions (indoor or outdoor), and color required. Rubber based adhesive systems provide immediate quick stick so they tend to bond faster to a wide range of surfaces. Acrylic adhesives will increase bond strength over time and are the best choice for applications where UV conditions and elevated temperatures are involved (outdoor exposure). Suitable for mounting various substrates such as glass, metals, some plastics, papers, and films. May be used to provide a gasket, seal, or to cushion and dampen vibration. Standard color: white. Available in black – call for details. Acrylic adhesive system offers great resistance to UV, aging, and oxidation. Makes this tape best for outdoor exposure. Used for mounting signs, placards, trophy plates, plastic extrusions, and metal trim.